Past evidence has shown that professional football players are susceptible to a progressive degenerative disease, chronic traumatic encephalopathy (CTE), which is caused by repetitive brain trauma. 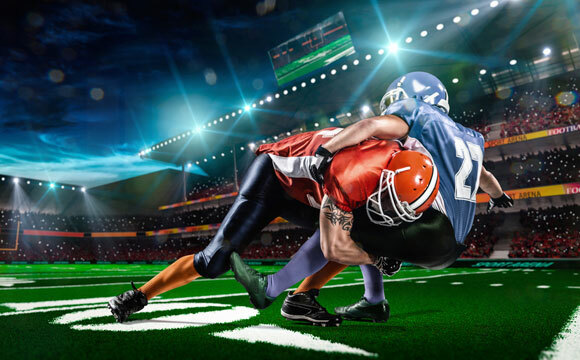 Now a new study from the Mayo Clinic reveals a significant and surprising amount of CTE in males who had participated in amateur contact sports in their youth. The Mayo study, published in the December issue of Acta Neuropathologica, links amateur contact sports — football, boxing, wrestling, rugby, basketball, baseball and others played while in school — with the development of CTE, which when severe can affect mood, behavior and cognition. 1 Comment on "Study Shows Amateur Contact Sports Increase Risk of Degenerative Disorder"
Well, sports don’t really help the intellectual development of humans. Nature asigns resources either to body or mind. Athletes are not known for mental prowess and scientists aren’t known for their athletic skills. I’ve never seen a top athlete older than 30 years but many excellent scientists over that age. What do we want to achieve as the human race? Discover the ultimate truth or break the record for the 100 yard dash?